PBWC Architects are currently looking to expand our current team of 20 people. We run a friendly office in new premises overlooking the Bay of St Ives and have a positive approach to maintaining a good work / life balance. The position is ideal for someone looking to gain practical experience and move forward in his or her career. Applicants should ideally have a good working knowledge of CAD, preferably Revit and be enthusiastic and committed to developing their technical ability and professional competency. They should be keen to learn alongside our wider team of Architects and Technicians and contribute to both design and delivery of projects across various sectors including Education, Health, Commercial & Residential. The start date and salary for each post will be defined in response to negotiation with individual candidates. 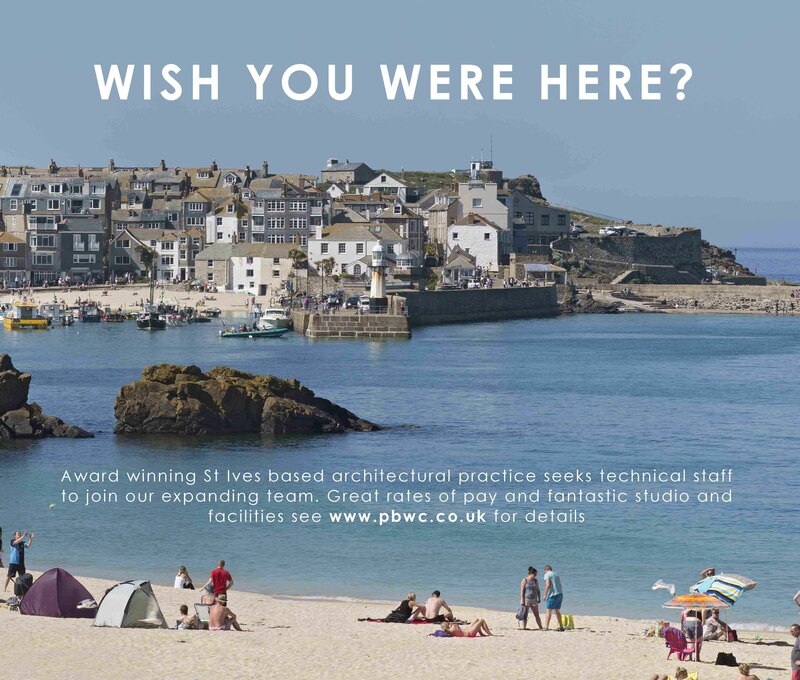 Posts will be full time at a maximum of 37.5 hrs a week to a minimum of 30 hours a week and be based in St Ives, Cornwall. If you would like to have a quick chat first then do not hesitate to contact us on 01736 792000.